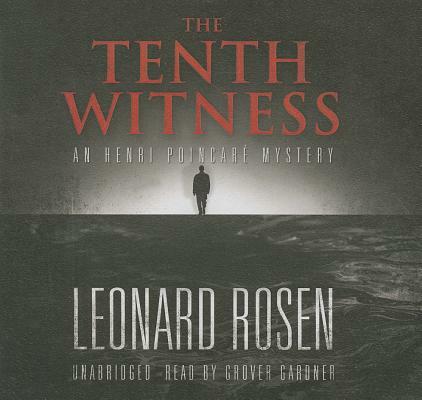 The Tenth Witness, a prequel to the award-winning All Cry Chaos, is the tale of a man upended: a twenty-eight-year-old who rejects a brilliant career in engineering for a dark, uncertain one in international police work. On the night of October 9, 1799, the frigate HMS Lutine broke apart on the shoals of the Frisian Islands off the Dutch coast. When the insurer Lloyds of London paid on the wreck, it took ownership and planned expeditions to recoup the lost millions in gold and silver. Nearly two hundred years later, after a series of largely failed salvage operations, Lloyds tries again-this time on the strength of new technologies and a strategy devised by the gifted young engineer Henri Poincare. It is late spring 1978, and Poincare has worked nearly to exhaustion preparing for the Lutine dive. Before the salvage season begins, however, he takes a rare holiday: a hike at low tide across the vast, muddy flats of the Wadden Sea. His guide is Liesel Kraus, who is smart, able, appealing-and troubled. She and her brother Anselm are haunted by a violent history that generates both rage and, as the directors of Kraus Steel, an enormous, corrupting wealth. The closer Poincare draws to Liesel and Anselm, the more warped life becomes until, finally, love and a death threat compel him to investigate what no one else will-aside from Interpol. It seems that pain as well as treasure can be dredged up from the past to reshape the present.